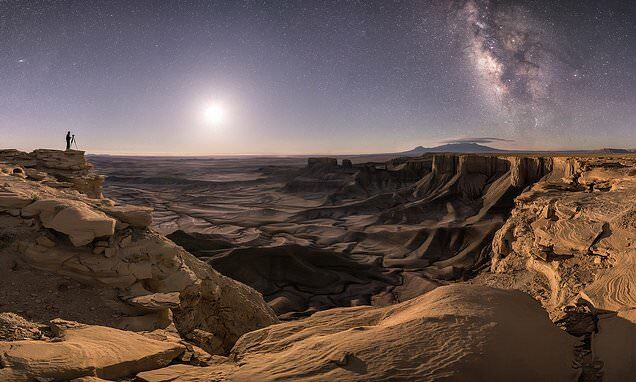 The winners of this year's Royal Observatory Greenwich Astronomy Photographer of the Year competition have been announced. The overall winner of the prestigious contest, American photographer Brad Goldpaint, will receive a £10,000 ($13,000) cash price. He has beaten thousands of amateur and professional photographers from around the globe to take the top prize. The judges were captivated by Mr Goldpaint’s awe-inspiring image - taken in Moab, Utah - which depicts a majestic composition of immense red rock formations with the glorious Milky Way looming overhead on the right, and the Andromeda galaxy on the left.